Sentinels Sidekick tracks the hit points of all targets in the game, including Heroes, Villains, Minions, Environment cards, you name it! No more need for little fiddly pieces of paper, glass beads, and dice. Just start up Sentinels Sidekick on your Android phone or tablet, put it in the middle of your gameplay area, and enjoy! • Play with all Heroes, Villains, and Environments from the Enhanced Edition, Rook City, Infernal Relics, Shattered Timelines, and promo decks. • Heroes, Villains, and Environments are color coded for quick identification. • Set up a Random game with up to 5 Heroes with one touch! Sentinels Sidekick is a helper, not a game. It requires a real copy of the Sentinels of the Multiverse (SotM) card game, made by the fine folks at Greater Than Games. For more information on the Sentinels of the Multiverse Card Game by Greater Than Games, visit http://sentinelsofthemultiverse.com. For more on the Sentinels of the Multiverse video game, visit http://sentinelsdigital.com. 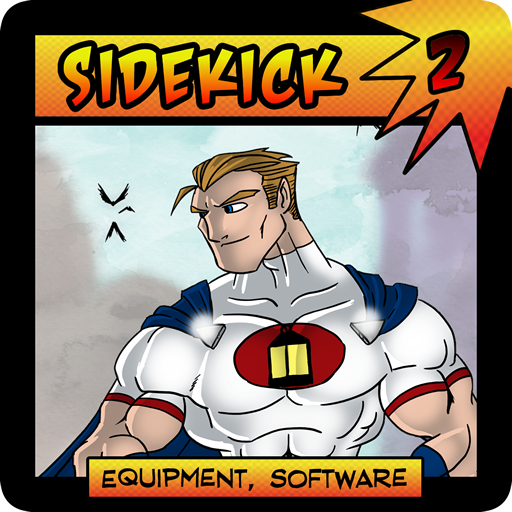 Sentinels Sidekick for Android tracks the hit points of all targets in the game, including Heroes, Villains, Minions, Environment cards, you name it! No more need for little fiddly pieces of paper, glass beads, and dice. Just start up Sentinels Sidekick on your Android tablet or phone, put it in the middle of your gameplay area, and enjoy!